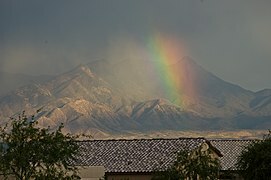 The Santa Rita Mountains (O'odham: To:wa Kuswo Doʼag), located about 65 km (40 mi) southeast of Tucson, Arizona, extend 42 km (26 mi) from north to south, then trending southeast. They merge again southeastwards into the Patagonia Mountains, trending northwest by southeast. 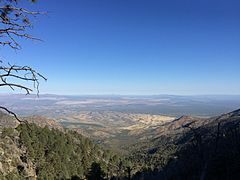 The highest point in the range, and the highest point in the Tucson area, is Mount Wrightson, with an elevation of 9,453 feet (2,881 m), The range contains Madera Canyon, one of the world's premier birding areas. 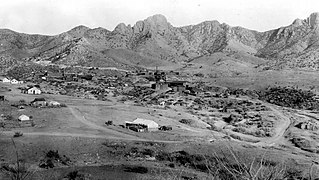 The Smithsonian Institution's Fred Lawrence Whipple Observatory is located on Mount Hopkins. The range is one of the Madrean sky islands. A large porphyry copper deposit has been identified near the old Helvetia mining district on the north flank of the range. 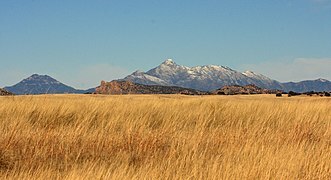 The proposed Rosemont mine would be an open pit operation located in the Santa Ritas about two miles west of mile marker 44 on Arizona State Route 83. The Santa Rita Mountains are the home range of "El Jefe," an adult male jaguar first identified in 2011. This has raised conservation concerns about proposed open pit copper mining.